The weight is finally off coach Jon Eagle’s shoulders. 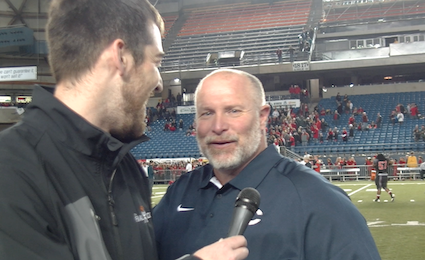 After suffering one of the worst losses in Washington state football history in 2013 to Chiawanna, coach Eagle brought his Papermakers back to the state final and this time prevailed over the previously undefeated Richland Bombers. 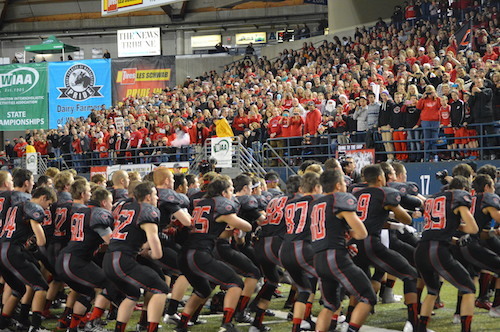 Camas started the game on a tear. A seven play 61-yard drive capped off by a Jack Colletto pass to Cooper McNatt gave the Papermakers an early 7-0 lead. 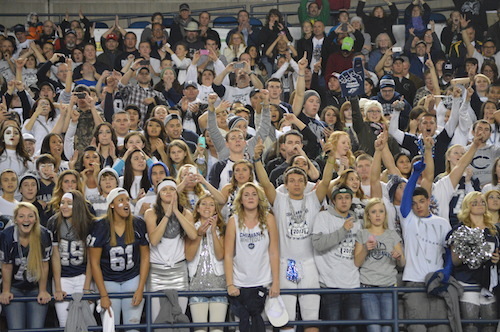 The scoring stalled all the way until one minute remaining in the first half, when Richland finally broke free on a Ben Stanfield run to tie the game at seven. Camas was able to put together a two-minute drill type drive to get into field goal range, and kicker Michael Boyle knocked in a 34 yarder despite a fumbled snap and hold. The Bombers received the kick in the second half and stormed down the field to take their first lead of the game, 14-10. 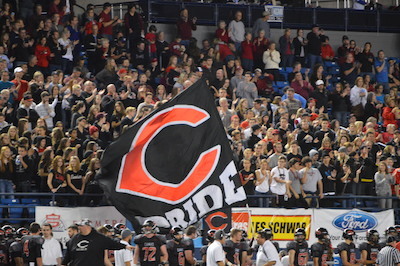 Camas was not phased, and responded with their own 80-yard drive for a touchdown, to regain the lead 17-14. The defenses tightened up in the fourth quarter, with red zone trips from both teams ending in on failed fourth down conversions. With three minutes remaining in the fourth quarter, Colletto stepped up to the plate again for the Bombers and rumbled 34 yards for the sealing touchdown. 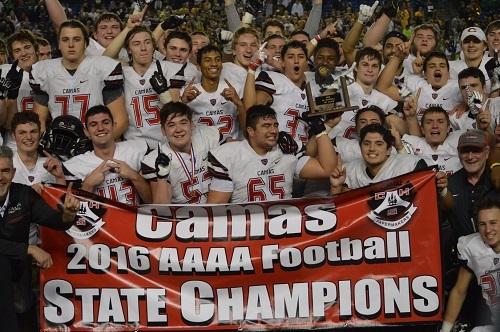 He added an interception in the final minutes, and Camas held on to win the biggest game in their school’s history. 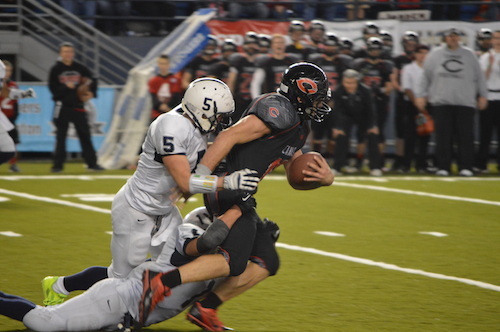 Jack Colletto – 2 total touchdowns, 1 defensive interception. of the Papermakers vs. Titans matchup. of the Papermakers vs. Storm matchup. 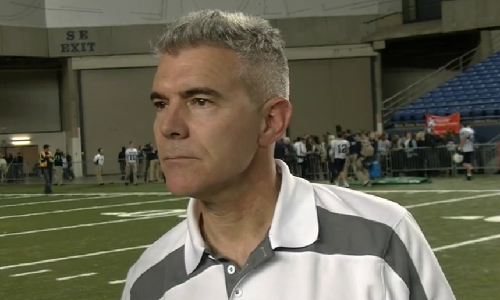 Steve Dion and Paul Valencia talk about the Camas Papermakers dominance in the GSHL over the last few years. 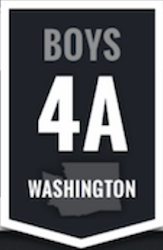 Can they continue to lead SW Washington? 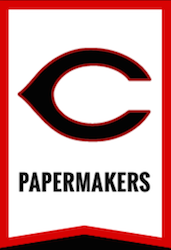 Listen to our preview of the Camas Papermakers by clicking on the PLAY BUTTON below.